As we become increasingly aware of the tragic past, how can we avoid fuelling resentment along national lines in the present? .Volhynia, a border region in the northwest of present-day Ukraine, is almost completely absent on Europe’s landscape of memory. Here, in 1943, a section of Ukraine’s nationalist underground massacred the region’s Polish population. These events, despite being one of the largest mass killings of the Second World War, are barely known in Ukraine today. 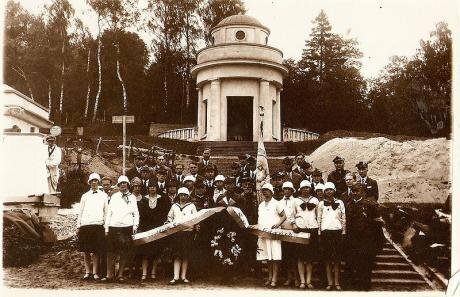 Across the border, though, “Wołyn 1943”, as the events are known, is gradually moving to the very centre of Poland’s memorial culture, and is playing a significant role in Polish attitudes towards Ukraine. I have been active in discussions of Volhynia in both Poland and Ukraine since the mid-2000s. While expressing my views I have often had an uncomfortable feeling of being presented (and perceived) as “a Ukrainian voice”, though I am not at all interested in defending or denouncing any national tradition. Instead, I believe it is crucial to consider how researchers can move beyond the predictable logic of two “national truths” and negotiating the best diplomatic formula to define what happened in Volhynia. Instead, we should ask two questions: i) How can we study the events in Volhynia in their local complexity as well as the comparative transnational framework? ii) What can we learn from research on the Volhynian massacre not in terms of national martyrdom, but in terms of individuals’ behaviour in an extremely violent and dynamic situation when one’s ethnicity (ascribed or self-identified) leads to collective responsibility and, therefore, life or death? What happened in Volhynia in 1943? 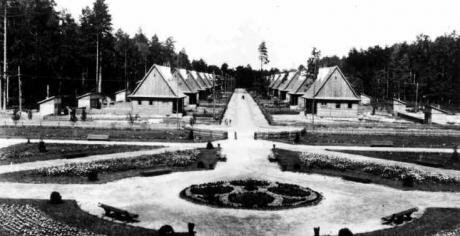 The model village of Janowa Dolina in Volhynia, pictured here in the 1930s, was the site of a UPA massacre in April 1943. Wikimedia Commons. Fair use.In order to portray the pre-planned ethnic cleansing as a spontaneous peasant riot, the UPA units killed the Polish civilians with axes, rather than firearms, and tried to mobilise local Ukrainian peasants to assist in their actions. The brutality of killings, which made no exception for women or children, and involved torturing victims and the destruction of Catholic churches, is usually stressed in survivors’ stories. Polish memory of the Second World War consists of number of realms, or lieu de mémoire. Among the most important are the destruction of the Polish state by joint German-Soviet aggression in September 1939, the Katyń massacre of captured Polish officers perpetrated by the Soviet state in spring 1940, the 1944 Warsaw Uprising brutally suppressed by German troops and not supported by the Red Army. All of these deal with national martyrdom. The broad public discussion provoked by Jan Gross’s book Neighbours in 2000 strived to add a very different place of memory to the list – the town of Jedwabne, where in July 1941 a group of Polish town-dwellers murdered their Jewish co-citizens. The story of Jedwabne portrayed Poles as perpetrators rather than victims, resulting in heated debates in the media about the “pedagogy of sorrow”. 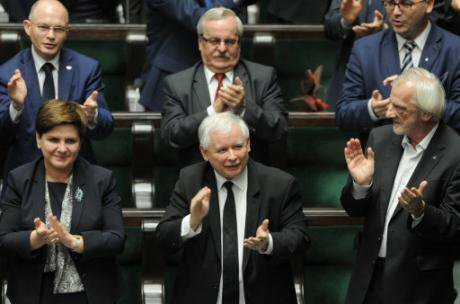 Polish émigré intellectuals contributed a lot to the re-formulation of Poland’s future “eastern politics”. In post-war Polish émigré circles, the Paris-based journal Kultura, edited by Jerzy Giedroyc, promoted the idea of conscious support for independence in Ukraine, Lithuania and Belarus (that is, former Kresy lands), as well as the rejection of any territorial claims towards neighbouring states, as essential preconditions for Poland’s political revival. After 1989, Giedroyc’s vision dominated the foreign policy of post-socialist Warsaw — Poland was the first state to recognise independent Ukraine, and since then it has been widely perceived as Ukraine’s advocate in Europe. This was proven during the 2004 Orange Revolution and the events of 2013–2014 when Polish civil society and political elites showed clear support to pro-democratic and pro-European protesters. A photograph from Eaglet Cemetery from the 1920s. Unknown photographer / Wikimedia Commons. Public Domain.During the 1990s, Poland’s discussions with Ukraine about history were dominated by the issue of Eaglet Cemetery (Cmentarz Orląt) — the burial place of Poles killed during the Ukrainian-Polish clashes of 1918 over the city of Lwów/Lviv. 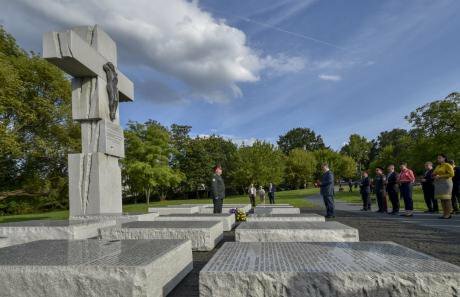 This cemetery was devastated in the Soviet years and finally re-opened with the attendance of the presidents of both countries in 2005. Inside Poland, groups and societies of Kresowianie (often, but not always, descendants of Poles from the eastern borderlands) raised the Volhynian topic intensively. They were the devoted promoters of the topic of the Volhynian massacre in terms of national martyrdom and “neglected genocide”. One of the authors even proposed to call Wołyn 1943 a “genocidium atrox” (extreme genocide) to stress the exceptional brutality of killing, which, according to him, “surpass Soviet and Nazi atrocities”. Another influential rightwing essayist claimed that Ukrainian nationalism “exceeds other nationalisms (including the Nazi one) in praising killings and unrestrained apology of brutality”. To maximise these claims, such authors started to apply the established language of the Holocaust to describe and define what happened to the Polish civilians of Volhynia. The Polish word “Zagłada”, previously reserved to define the Nazi extermination of the Jews, began to be used also as “Zagłada” of the Poles in the Kresy. In the same logic, Ukrainians who helped their Polish neighbours were called “Righteous of the Kresy”  to resemble the honorific “Righteous among the nations” used by Israel to describe non-Jews who risked their lives in an attempt to save Jews from the Nazi politics of extermination. This “we” language also plays an important role. The far-right weekly Do Rzeczy recently decorated its issue with a cover referring to Wołyn 1943: “They wanted to kill us all”. In this phrase, “us” means the Poles, and “they” apparently refers to Ukrainians. Post-Soviet Ukraine faced the coexistence, competition and, sometimes, coercion of two narratives on the Second World War — the Soviet and the nationalist. The first one stresses Ukraine’s role in the Soviet Union’s struggle against fascism and portrays the UPA as Nazi collaborators. The second emphasises the anti-Soviet struggle of the UPA that lasted until the early 1950s and caused serious Soviet repressions in western Ukraine. None of the two pays special attention to the Volhynian massacre. Wołyn 1943 was not present in Soviet school history textbooks, and even though Stepan Bandera was one of the main Soviet anti-heroes, the biggest crime of the OUN-B — the ethnic cleansing of the Polish population of Volhynia — was barely mentioned. The entire Volhynian problem remains rather unknown for many Ukrainians, especially those without family stories from western Ukraine. The main goal behind all these manoeuvres is to preserve the UPA as one of the national symbols of Ukraine’s struggle for independence. It is telling that even critical Ukrainian essayists tend to stress that “the recognition of the responsibility of the perpetrators of the Volhynian massacre does not automatically mean the condemnation of the entire Ukrainian underground”, and claim that both UPA and AK committed crimes against civilians, but none of the armies could be called criminal in itself. Some authors agree to call the killings a genocide, albeit a “bilateral genocide” in which, even though the numbers of people killed were different, the intent of the perpetrators was eventually the same. In 2010, Viktor Yushchenko, Kuchma’s successor, did not consider the Polish reaction at all when he awarded Bandera the status of “Hero of Ukraine”. In July 2013, president Viktor Yanukovych decided not to join Polish president Bronisław Komorowski for the mourning ceremony on the 70th anniversary of the Volhynian massacre in Lutsk. In April 2015, right after Komorowski’s guest speech, the Ukrainian parliament adopted a law that gave the UPA veterans a special status of “fighters for Ukrainian independence”. A significant part of the Polish media interpreted it as a sign of disrespect and lack of Ukraine’s appreciation for the strategic partnership with Poland. Nowadays the definition of the Volhynian crime as “genocide” is strongly promoted in Poland by a number of political forces (mostly, on the right) and is rather broadly accepted in academic discourse. Clearly, a responsible answer to the question whether the “anti-Polish operation” of the UPA was genocide depends on your definition of genocide (from the purely legal to the sociological). In any case, it is clear that calling a concrete historical event “genocide” signifies a desire to designate the worst possible crime and attract attention to its memory. (c) Alik Keplicz AP/Press Association Images. All rights reserved.Three years later, the Polish parliament returned to the topic. In July 2016, the newly elected Polish parliament with a constitutional majority from the conservative PiS (Prawo i Sprawiedliwość) party adopted a new declaration on Wołyn 1943 that called it a “genocide” and established the Commemoration Day of its victims on 11 July, the day when the UPA units attacked around 100 Polish villages on Volhynia. The same declaration expressed gratitude to those Ukrainians who rescued their Polish neighbours and claimed “solidarity with present-day Ukraine which fights against foreign aggression for its territorial integrity”. None of the 442 MPs voted against the resolution. In 2013, the Sejm’s resolution was criticised by leading Polish leftist and liberal intellectuals, who called on parliament to think critically about the Kresy mythology and understand that “for centuries Poland was a colonial power and occupier for Ukraine”. In 2016, even some conservative essayists declared worries about the possible effects of the Sejm’s resolution, stressing that Poland should avoid paternalistic stance towards Ukraine, and be aware of “Putin’s interest in embroiling Poland with Ukraine” and should not allow “tragedies of the past to define today's politics”. In 2016, as well as before, the most important initiatives on the Volhynian topic came from Poland Official Kyiv lost numerous opportunities to propose a creation of an international (not just bilateral) historical commission or to initiate the broad archeological research on the places of mass killings. President Petro Poroshenko’s important gesture during his July 2016 visit to Warsaw — like Willy Brandt before him, he knelt before the monument to the victims of the Volhynian massacres — came too late and did not influence the Sejm’s vote on the “genocide resolution”. The letters of distinguished Ukrainian politicians and intellectuals focused on the formula “we forgive and ask for forgiveness” had almost no effect as well. The same could be said about the previous memorandums with the same formula issued by the Ukrainian Greek-Catholic and Polish Roman-Catholic churches. The Sejm’s resolution was interpreted by many Ukrainian politicians and journalists as an “anti-Ukrainian gesture”  adopted in the particularly unfavourable moment of the military conflict in the Donbas region and conscious attempts of the Kremlin to use Volhynian topic to further complicate Polish-Ukrainian relations. At the same moment, despite some very radical proposals, the Verkhovna Rada in September 2016 expressed its regret about the decision of its Polish colleagues in a very moderate document which condemned “the one-sided political assessment of the historical events” and opted for further dialogue. Late October 2016 saw Ukrainian and Polish parliaments simultaneously approve “The Declaration of Memory and Solidarity”, which included words of respect to all the victims of the violent clashes of the twentieth century and condemnation of the external aggressors of both countries, most of all, the Molotov-Ribbentrop pact. Could one say that this declaration denounces or, at least, softens the genocide resolution? Not exactly. And it is telling that none of the mentioned documents acknowledges the responsibility of the OUN-B and UPA for the mass killings of Polish civilians or questioned attempts to unconditionally heroicise those formations in present-day Ukraine. In Poland, there are numerous monuments to the victims of the Volhynian. The first memorial in the capital city of Warsaw was opened in 1993 — a purely military symbol (a giant sword) to the soldiers of the 27th Volhynian AK Infantry Division was erected pretty far away from the city centre. In 2003, this monument was supplemented with a new element: 12 stone-made Volhynian candles, which were meant to symbolise the 12 administrative units of the Volhynian region where the killings happened. In 2013, a new memorial was added: a seven metre high cross with an armless Christ. Zuzanna Bogumił argues that the sculpture of the armless Christ clearly places the entire memorial in the tradition of Polish religious messianism and martyrology. Exactly by representing the killings as Christ-like sufferings, the Poles of Volhynia are made into innocent martyrs who died in the name of the highest national values. Their moral purity and physical sufferings are connected to the old Romantic notion of Poland as “a Christ among nations”. In this mythological framework, Wołyn 1943 became much more than just an exceptionally tragic historical event, but a collective experience that bares an eternal truth about the Polish nation. It also recalls and re-activates the Kresy mythology in full strength together with reinforcement of the old images of the cruelty of Ukrainian anti-Polish uprisings in the 17th and 18th centuries. In 2013, some Polish far-right activists “reconstructed” the Volhynian massacre in the village of Radymno. Seven wooden houses were burned down before the eyes of 5,000 spectators, video footage of the “happening” was broadly broadcasted online. In commenting on the necessity of such “reconstructions” one of its supporters proudly claimed that “it has to do not just with the preservation of memory”, but with the rejection of “the out-of-dated and deeply discredited Giedroyc myth”. Has the intensification of Wołyn 1943 debates influence the attitude towards the almost one million Ukrainians who live and work in Poland? Polish Prime minister Beata Szydło in January 2016 argued at the European Parliament that Poland could not agree on the EU quotas on refugees because it has already “accepted around one million Ukrainian migrant workers”. This attempt to confuse refugees with working migrants is telling, especially keeping in mind that, according to official data on the ministry’s website, less than 20 Ukrainian citizens obtained refugee status in Poland last year. The majority of both Polish and Ukrainian texts about the Volhynian massacre remind me of monologues in a different contexts. The mainstream option in both cases is to defend “your own national truth”. In this logic, radical nationalism, if it doesn’t belong to “us”, is frightening, and if it’s “ours”, appears reasonable and even helpful. In Ukraine, despite the increase of publications caused by initiatives in Poland, the Volhynian topic remains rather marginal and does not deeply affect the Bandera mythologies (see more on this in my previous essay for Open Democracy). In Poland, however, Volhynia is gradually moving to the centre of national memorial culture as “newly discovered” and “repressed” proof of the old truth about Poland’s exceptional martyrdom and sacrifice. Self-victimisation (of course, not just in Polish or Ukrainian case) could turn into the superiority complex and bears a number of risks and dangers for the group who shares it. Speaking about the Middle East, Yassin Al-Haj Saleh emphasises that while victimhood narratives are powerful instruments for “disciplining and unifying a community and justifying its exceptional aspirations”, they are also “much more conducive to committing injustices than to resisting them”. The growth of the “extreme genocide” topic in Poland and development of various “defensive” explanatory schemes in Ukraine seems to be not just a local phenomenon, but an illustration of much broader tendency — the spread of cultural insecurity, ethnic nationalism and superiority complexes that could be seen in many parts of the world, a world some scholars too hastily described as “post-national”. Very similar questions were outlined by Andriy Zayarniuk already in 2003: Andriy Zayarniuk, Vykonavtsi etnichnoii chystky poliakiv na Volyni jak intelektual`na problema, Ukraїna: kulturna spadschyna, national`na svidomist`, derzhavnist`, vol. 10 (2003): 261–286. Compare Aleksandr Osipian, Etnicheskie chistki i chistka pamiati: ukrainsko-polskoe pogranich`e 1939-1947 gg. v sovremennoj politike i istoriografii, Ab Imperio, no. 2 (2004): 297–326; Jared McBride, Peasants into Perpetrators: The OUN-UPA and the Ethnic Cleansing of Volhynia, 1943–44, Slavic Review, 75, no. 3 (Fall 2016): 630–654. For comprehensive analysis of the census data and Poland`s policies in inter-war Volhynia see Włodzimierz Medrzecki, Województwo wołyńskie 1921–1939: Elementy przemian cywilizacyjnych, społecznych i politycznych (Wrocław – Warszawa – Kraków, 1988). See Mark Mazower, Dark Continent: Europe`s Twentieth Century (London, 1999); Norman Naimark, Fires of Hatred: Ethnic Cleansing in Twentieth-Century Europe (Cambridge –London, 2002). Inter-war Poland failed to fulfill its international promise to open the Ukrainian University in L`viv, tended to cut down Ukrainian language schools, in late 1930s even destroyed more than one hundred Orthodox churches. 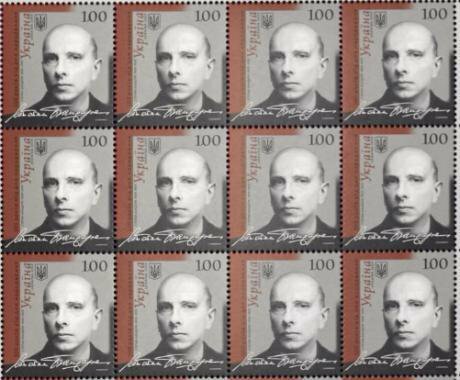 See more in Ryszard Torzecki, Kwestia ukraińska w Polsce w latach 1923–1929 (Kraków, 1989); Jerzy Tomaszewski, Ojczyzna nie tylko Polaków: Mniejszości narodowe w Polsce w latach 1918–1939 (Warszawa, 1985); Mirosława Papierzyńska-Turek, Sprawa ukraińska w Drugiej Rzeczypospolitej, 1922–1926 (Kraków, 1979). The numbers of people killed in Volhynia are inevitably approximate. No systematic archeological and demographic research was done. The lack of written sources (the majority of people affected by ethnic cleansing were illiterate peasants who left no diaries or notes) plays role as well. Compare Timothy Snyder, The Causes of Ukrainian-Polish Ethnic Cleansing 1943, Past and Present, no. 179 (May 2003): 197–234. Litopys UPA. Vol. XXVI (Toronto – Kyiv, 2001), pp. 376–377. Quoted in: Grzegorz Motyka, Zbrodnia wołyńska 1943 roku i mit buntu ludowego, Dzieje Najnowsze, XLVIII, no.1 (2016): 53–66, here p. 63. This approximate number, supported, for instance, by Grzegorz Motyka, includes Ukrainians killed in all types of Polish “acts of revenge” on the entire territory of pre-war Poland during 1943–1947. See Grzegorz Motyka, Od rzezi wołyńskiej do akcji “Wisła”. Konflikt polsko-ukraiński 1943–1947 (Kraków, 2011) and most recently Wołyn`43. Ludobójcza czystka – fakty, analogie, polityka historyczna (Kraków, 2016). Compare one of the most balanced and well-researched monographs produced in Ukrainian: Ihor Iljushyn, UPA i AK. Protystoiannia v Zakhidnii Ukraini (1939 – 1945 rr.) (Kyiv, 2009). An important comparative reading of Motyka and Iljushyn`s texts could be found in: Tomasz Stryjek, Czy polsko-ukraiński dialog o historii jest możliwy, Przegląd Polityczny, no. 106 (2011): 171–176. For detailed analysis of the Kresy mythology in post-socialist Polish publications see Bogusław Bakuła, Colonial and Postcolonial Aspects of Polish Borderlands Studies, Teksty Drugie, no. 1 (2014): 96–123. For more details see Grzegorz Motyka, W kręgu “Łun w Bieszczadach” (Warsaw, 2009). The Polish Institute for National Remembrance has recently published a book about “the Righteous among Ukrainians who rescued Poles subjected to extermination by the OUN and UPA” in Polish, English and Ukrainian. See Romuald Niedzielko (ed), The Book of the Righteous of the Eastern Borderlands, 1939–1945 (Warsaw, 2016). A telling example of such logic could be found in the writings of one of the most influential Ukrainian nationalistic historians: Yaroslav Dashkevych, “…Uchy nelozhnymy ustamy skazaty pravdu”. Istorychna eseїstyka (Kyiv, 2011). For elaboration of such argument see the publications of the current director of the Ukrainian Institute for National Remembrance: Volodymyr Viatrovych, Druha pol`s`ko-ukraїns`ka vijna, 1942–1947 (Kyiv, 2012) and Za lashtunkamy “Volyni-43”. Nevidoma pol`s`ko- ukraїns`ka vijna (Kyiv, 2016). Andrii Portnov, “Memory Wars in Post-Soviet Ukraine (1991–2010)” in Memory and Theory in Eastern Europe, ed. by Uilleam Blacker, Alexander Etkind, Julie Fedor (Basingstoke, 2013), pp. 233–254. Here p. 240. Quoted in Bogumiła Berdychowska, Ukrańcy wobec Wołynia, Zeszyty Historyczne, vol. 146 (2003): 65–104, here p. 69. It is hard to name any Polish historian of the Second World War who would at the moment disagree with the definition of Volhynian massacre as a “genocide”. Compare the influential publication from the early 1990s: Ryszard Torzecki, Polacy i Ukraińcy. Sprawa ukraińska w czasie II wojny światowej na terenie II Rzeczypospolitej (Warszawa, 1993). See also Grzegorz Rossoliński-Liebe, Der polnisch-ukrainische Historikerdiskurs über den polnisch-ukrainischen Konflikt 1943–1947, Jahrbücher für Geschichte Osteuropas, vol. 57, no.1 (2009): 54–85. Gazeta Wyborcza. 22–23 June 2013, p. 3. See Adam Michnik column in Gazeta Wyborcza, 22–23 June 2013, p. 1, and several articles by Sławomir Sierakowski. For example: “Polacy nie są lepsi od Ukraińców”, Rzeczpospolita, 11 July 2013, p. A11. Zuzanna Bogumił, Pamięć o konfliktach i dialogach Polaków z sąsiadami zapisana w kulturowym krajobrazie stolicy, Manuscript (quoted with the permission of the author). For comprehensive analysis of the issue see Joanna Konieczna-Sołomatin, Kontakty polsko-ukraińskie a zmiany wzajemnego postrzegania Polaków i Ukraińców, Państwo i społeczeństwo, XVI, no. 1 (2016): 75–96.